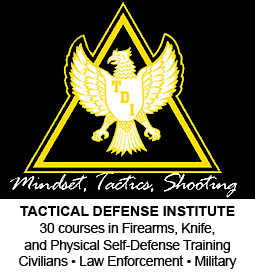 In the days following the terrorist attack in San Bernadino, CA, several law enforcement officials across the nation, and at least two sheriffs in Ohio, made news by urging citizens to obtain concealed handgun licenses to protect against terror. A Buckeye Firearms Association supporter from Seneca County forwarded an article about this important turn of events to his sheriff, William Eckelberry, and obtained permission to share the sheriff's response with BuckeyeFirearms.org readers. More and more are becoming this way, it’s about time. 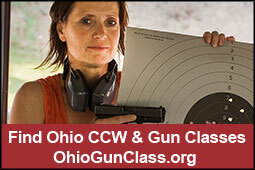 When carry concealed first came about in Ohio, there were a lot who felt the state would turn into the Wild West. As you know I’ve been in favor of it from the beginning. While we thought we would be processing a large number of folks to be able to carry concealed in the beginning, it just didn’t happen. There however was a large spike in applications twice in the last seven or so years, when the president was elected and then re-elected. This not only holds true for licenses, handgun and ammo sales have sky rocketed as well. If I have to give him credit for something, this would be it. I have spoken to a number of groups over the past five years as your sheriff. There have been many topics discussed, but the one that is very close to my heart is your safety. Many have offered their help to us. However there is one thing that I will never do, that is putting any of you in harm’s way. 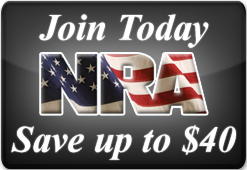 I encourage folks to what they need to do, to obtain their carry conceal license. Not too long ago an older gentleman came in the office to talk with me. He said he sold at flea markets and at times would carry large sums of money. He asked about open carry in Ohio, to which I told him it was legal. I then said while it was, why would he want everyone to know he was carrying? Wouldn’t it be better to carry concealed and not draw attention to himself? Also, how that handgun is transported in a vehicle is different for someone who has a carry conceal license. When we were done, he was going to follow up with an application to carry concealed. I tell folks that we can’t be everywhere and minutes can seem like hours when you’re waiting for help to arrive. There isn’t a deputy on the road that doesn’t push their car to the limit when needed, but it still takes time to get there. They have an absolute right to protect their families and themselves. As the old saying goes...Better to have and not need, then to need and not have. 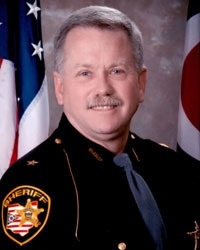 Unlike the bureaucrats in the anti-gun rights Ohio Chiefs of Police Association (OACP), who are appointed to their positions and are thus not accountable to voters, Buckeye State sheriffs are directly elected by the people, and thus much more closely reflect the attitudes and positions of those they protect and serve. Our 88 county sheriffs are the highest law enforcement officers in the state, and a large majority support your right to carry. We are thankful for Sheriff Eckelberry's service. We encourage you to take time to get to know your sheriff/deputy while obtaining/renewing your CHL. Talk with your sheriff about their support for our continued efforts to update Ohio's concealed carry laws to make them friendlier to citizens. 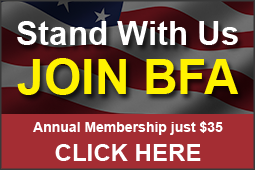 Explain which current gun rights bills you support and get their thoughts on the bills. We welcome your feedback.